We are a family that loves a great set of pjs. We have always been huge fans of Carter’s and although this post is sponsored by Carter’s all thoughts and opinions expressed are my own. My baby girl Hazel has always been an amazing sleeper. 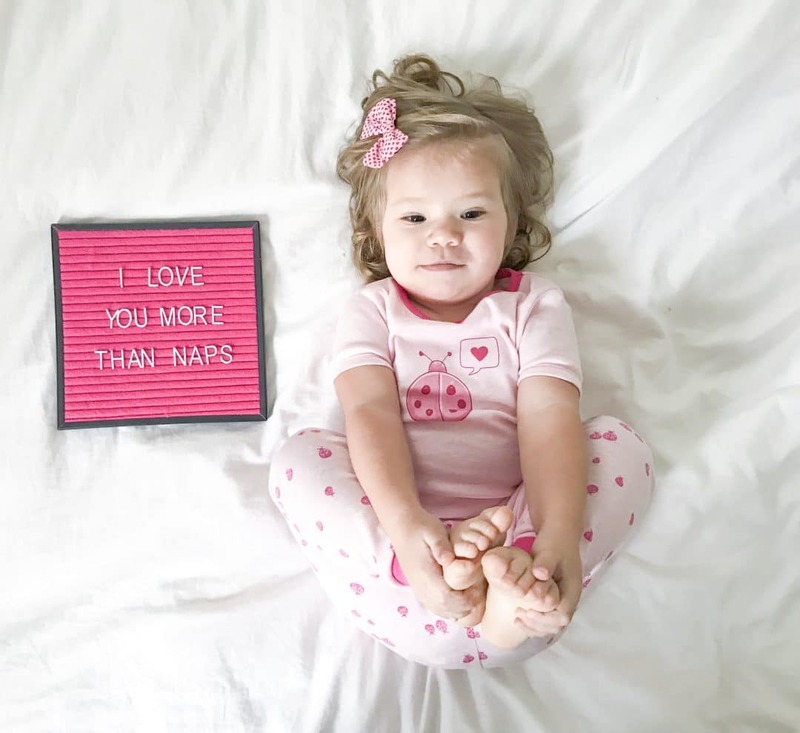 Even from just a few months old she has given her mama some great nights sleep. Lately she has been going through a bit of sleep regression. That dreaded 2 year sleep regression we all hear about. Just when you think you have things all figured out they go and change on you. I know that it is normal for her age but this mama needs her sleep. Baby girl does too! I started some new routines to help Hazel get a better night sleep and I thought I would share them with you. 1.First things first, we start our nighttime routine with a great set of organic pajamas. We have always been huge fans of Carter’s. 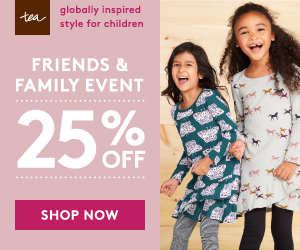 This month they launched a new organic baby clothes line called Little Planet and it’s a dream come true for us! The Little Planet Collection has the beautiful and comfortable no fuss details that Carter’s is known for. Plus the added bonus of being 100% certified organic: made from 100% cotton, knitting and dyes. I love that one of my favorite brands has made organic options that are beautiful and affordable too! Currently the Little Planet Collection can only be found online in limited quantities so head over to their site to snag your favorite styles. Aren’t these Pajamas the cutest for Valentines Day? You can find all the Little Planet Styles HERE for sizes newborn to 5T. 2. Next we really put our nightly routines in overdrive. 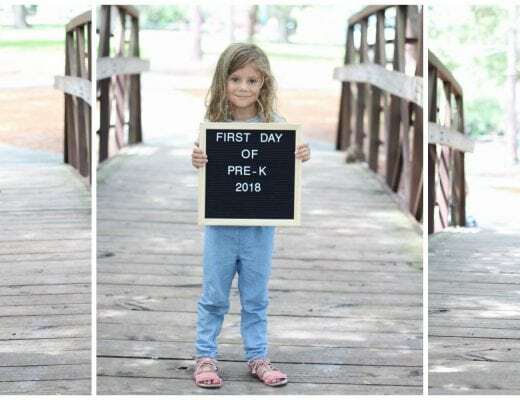 As Hazel is our third baby we sometimes slacked when it came to bedtime schedule, but we started to implement some more structure and we saw progress in her regression. We tried to make every night look identical and happen around the same time. For us that meant bath, books and bed (for more details on exactly what our routine looks like head over to one of my older posts Creating Healthy Sleep Habits For Your Little One). 3. We noticed that Hazel was having a lot of separation anxiety especially towards mama. This is very normal for this age and you might notice your “almost two year old” is going through the same thing. I made sure to spend some extra cuddle time with Hazel right before bed. I also wanted to make sure I was not creating new bad habits so I tried to give her my undivided attention. When it was time to sleep I kept our routine as normal as possible and allowed her time to fall asleep on her own. When she would wake in the night I would quietly tell her that it’s time for sleep as i pointed to her mattress. I rubbed her back but again allowed her to fall asleep on her own. Sometimes that meant I had to go back several times which was less than ideal. I wanted to give her the comfort she needed while maintaining the healthy habits she was used to. Just remember that sleep repressions are temporary but bad habits can take a lot longer to break. After a few nights Hazel was waking less and less and the times I had to go in her room drastically went down. 4. On top of the anxiety Hazel was feeling she was also getting to the age where she started to develop nighttime fears. 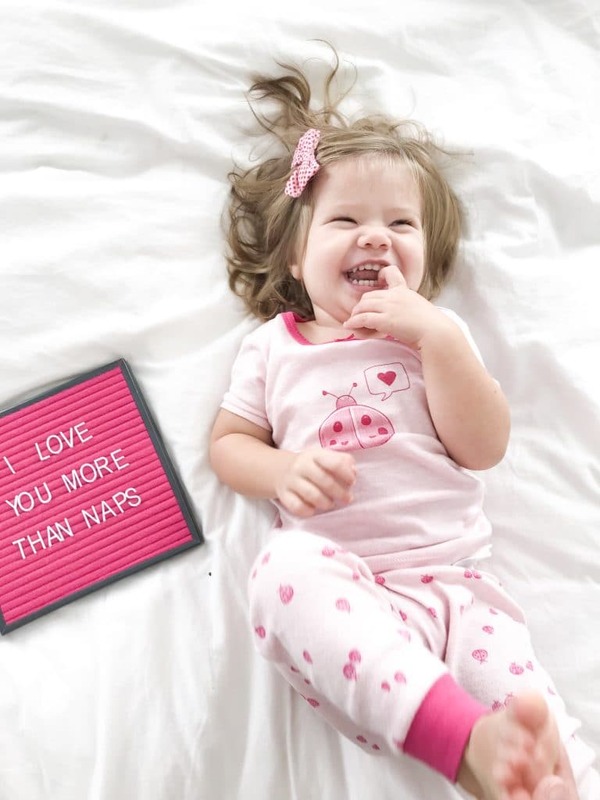 If you have read my previous post on healthy sleep habits you know we love our “lovies”. This can be a small animal or blankie, really anything that your child has formed an attachment to that can bring them comfort. When I go into Hazel’s room in the night I make sure to grab her sloth and bring her focus to it so she knows her favorite little guy is with her all night. 5. My last tip and maybe my most important is to really be aware of situational factors. Have you been traveling or incorporated a new routine? Do have a new addition to the family or have you started potty training? 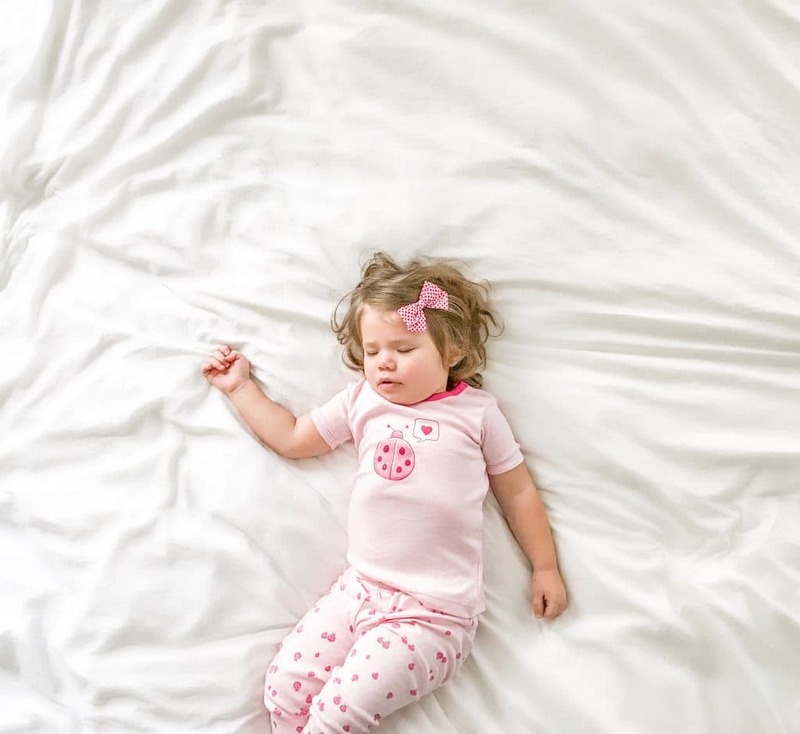 All of these things can disrupt your little ones sleep habits. I try to keep this in mind when the nights are long and I feel tested. This journey is a challenging one and most times these changes are just temporary. 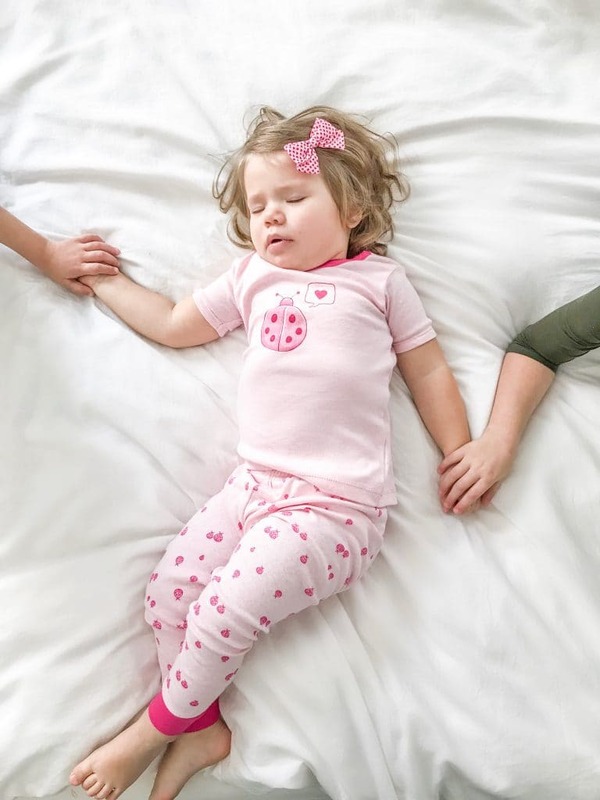 A little extra cuddle before bed and encouragement could be all your toddler needs to get through this dreadful sleep regression. 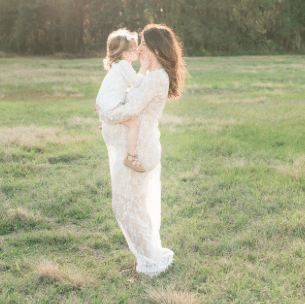 Stay strong mama, remember these moments can be really challenging for your little one and its our job to help them through it. I hope these tips can help you get through these sleepless nights. These days will pass but in the meantime enjoy your coffee and extra toddler snuggles. Hopefully soon they will be happening a lot less at night and more during waking hours. 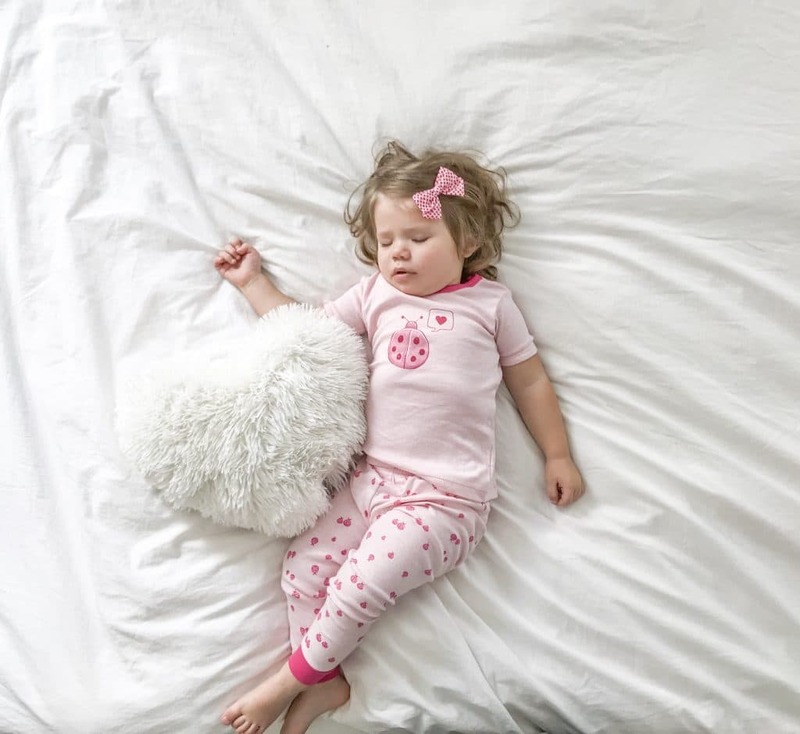 Do you have toddler sleep regression tips that have worked for you? I would love to hear about them in the comments below. Yes, I can totally relate! This sounds a lot like our daughter 🙂 Thank you for the helpful tips.